First, congratulations on your engagement and blessings for a rich, loving relationship. 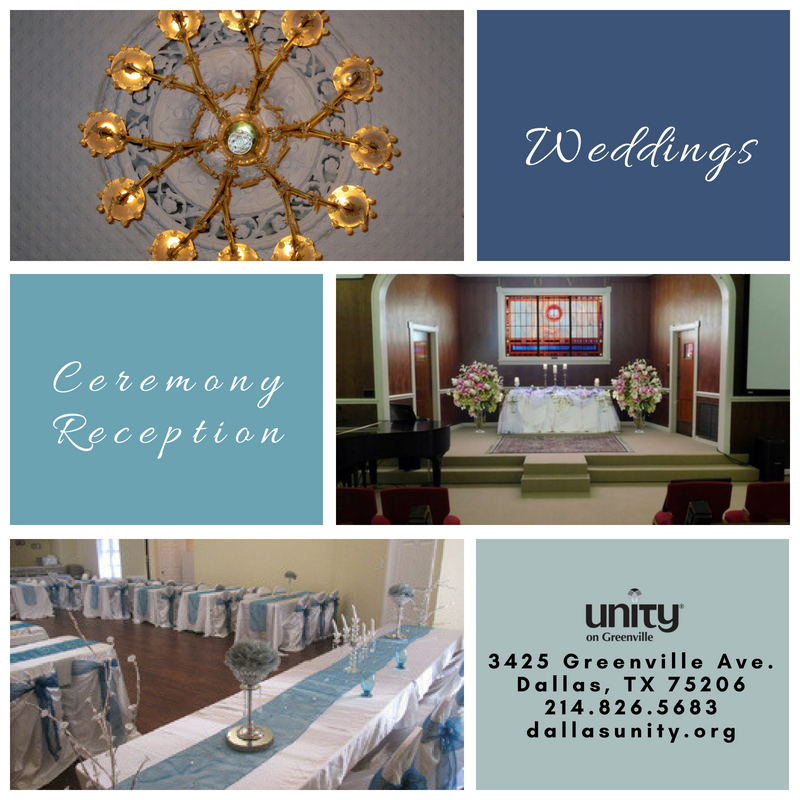 Unity on Greenville, A Positive Path For Spiritual Living, may be the ideal place for your wedding. It is centrally located in Dallas near SMU, Mockingbird Train Station, and historic M street neighborhood. ..
Our inclusive wedding policy respects the diversity of society, welcoming all people regardless of race, sexual orientation, creed, or religious affiliation. We offer positive, spiritual, non-denominational ceremonies and a peaceful, inspirational environment. Unity honors all spiritual and religious paths whether you do not have a church home, or for some reason cannot be married in your own church. Unity membership or attending a Unity class is not required but you are always welcome to explore Unity at a Sunday service (11:00 a.m.). Reverend Karen Romestan provides a wedding ceremony that is contemporary and spiritually supportive of each couple. She assists all couples in creating their own spiritual ceremony reflecting their beliefs and values. Rev Karen also is available to travel to a venue of your choice to perform your ceremony. 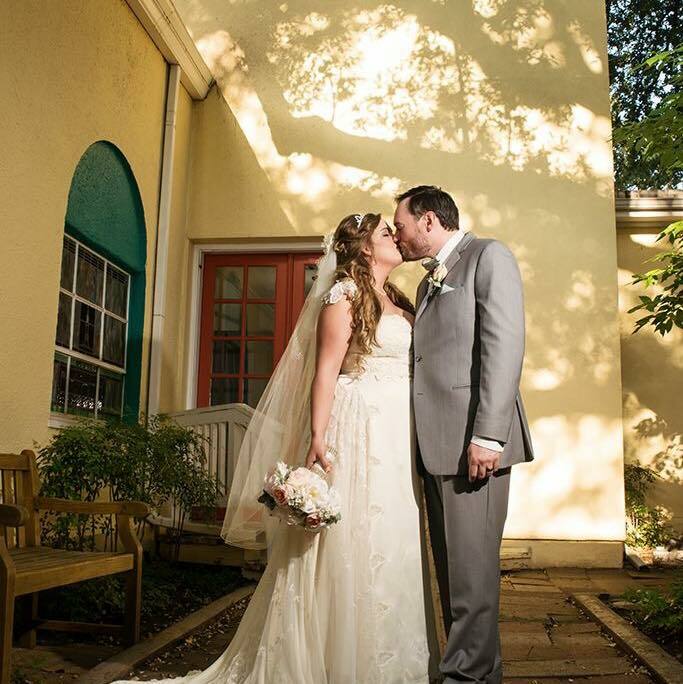 You are also welcome to bring your own minister or officiant for your ceremony at Unity on Greenville. A Texas marriage license is required for all weddings (with the exception of Vow Renewal Ceremonies). Please bring your marriage license with you on your wedding day!